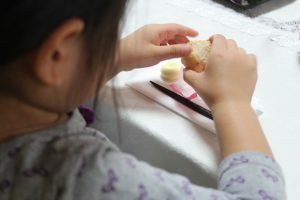 This time the students learned how to eat Shokado-bento with lid cover and the correct way to hold chopsticks. 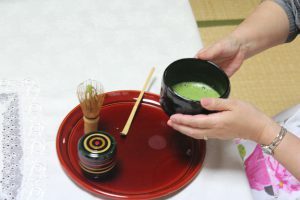 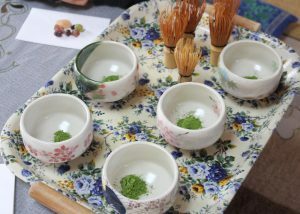 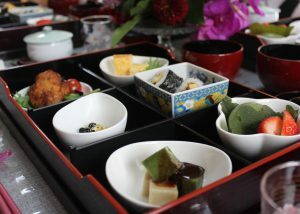 They also had the opportunity to whisk their own Maccha tea with nice foams on the surface. 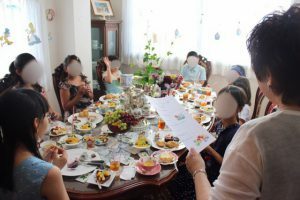 They all sat straight and enjoyed learning. 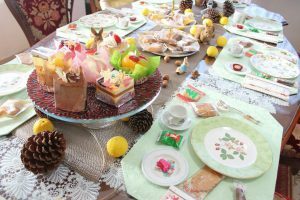 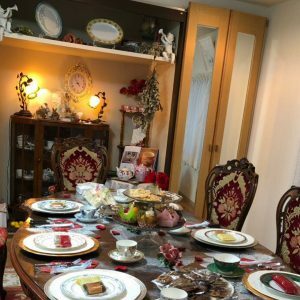 Tea Party with the setting of Thanksgiving with a glimpse of Christmas. 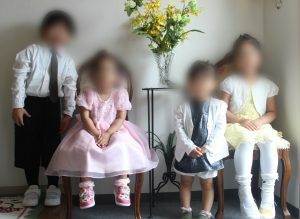 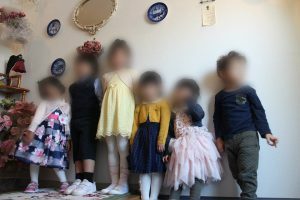 All students were dressed up well and became very cute princes and princesses. 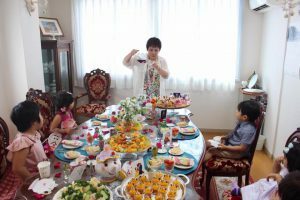 They learned the greetings and self introductions that are essential when they’re invited to a tea party. 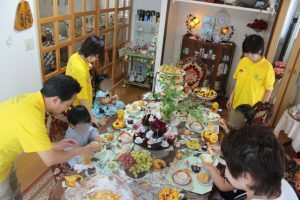 All, including younger students, could give greetings very well. 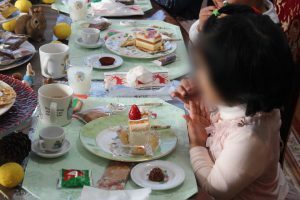 Thanksgiving Tea Party Elementary school students of our Church School was also held. 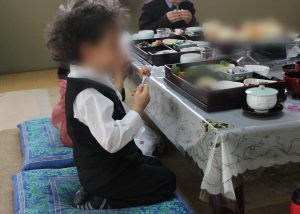 They were very cute with girls who are well dressed up and boys wearing bow ties! 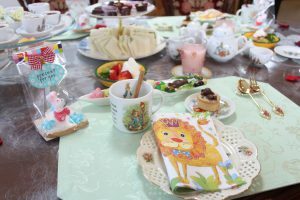 We had Tea & Manner Lesson. 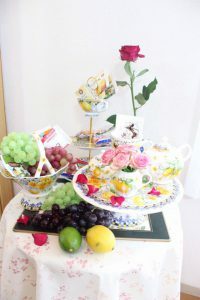 This time, the theme was “Myrtle” which is the flower that appear in the Bible. 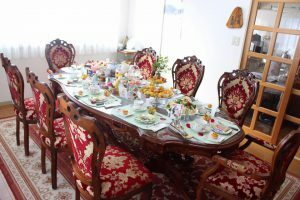 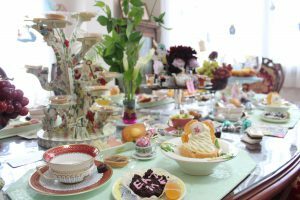 The table setting was prepared using the tea set of “Queen of Heart” by Wedgwood. 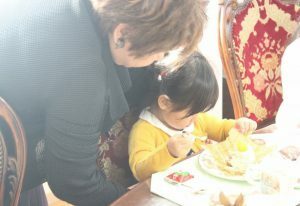 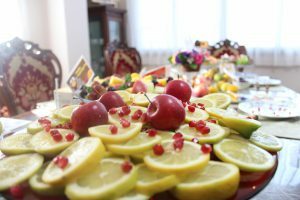 The students learned how to use napkins and how to eat fruits, etc. 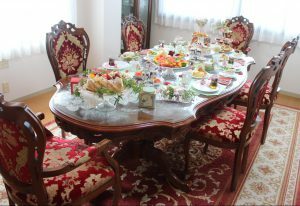 and enjoyed the tea time. 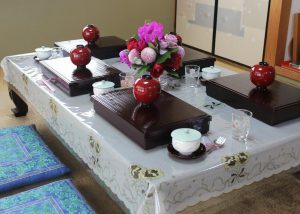 First the students learned the greetings and how to bow in Japanese style. 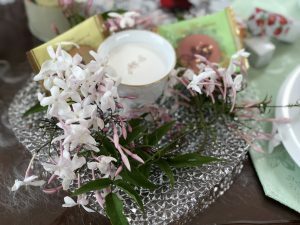 Then they enjoyed the Fragrance of Jasmine afternoon tea. 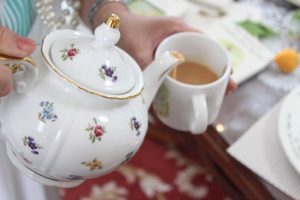 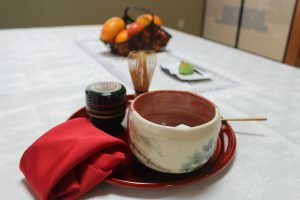 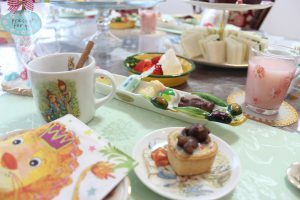 We had “Afternoon Tea Party” drinking Sweet Chai with a Cinnamon stick. 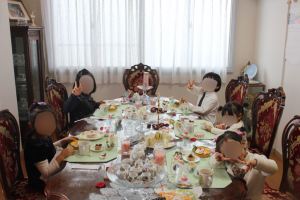 We learned about manners and proper etiquette! 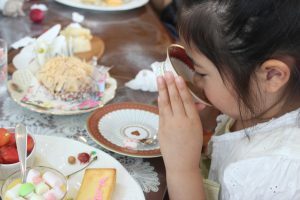 It was an exciting time of Drinking, Eating and Learning! 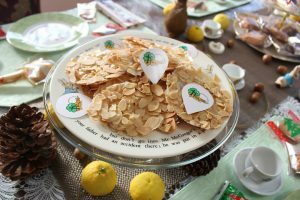 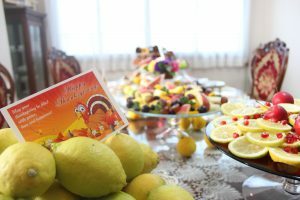 We had “Thanksgiving Tea Party” to thank God of His creation for the harvest. 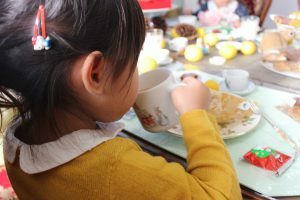 We enjoyed fruits tea flavored with an apple in it! 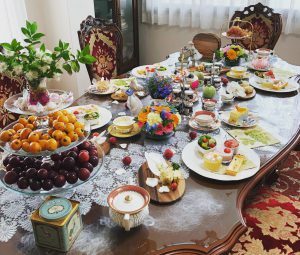 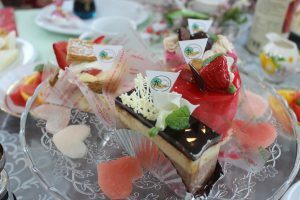 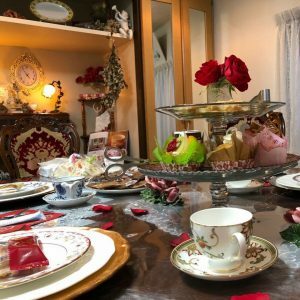 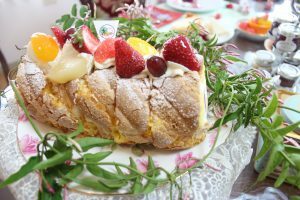 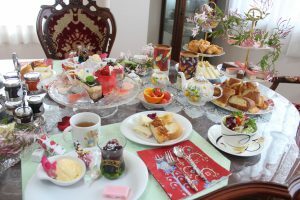 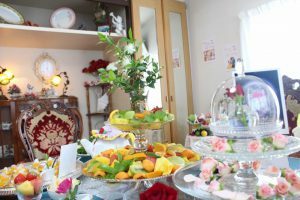 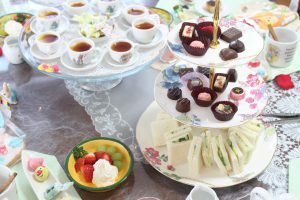 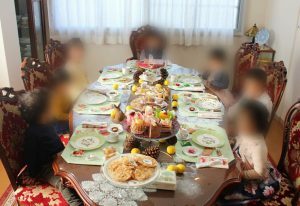 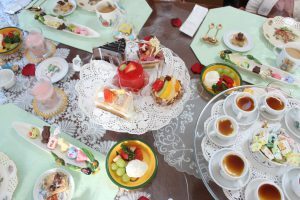 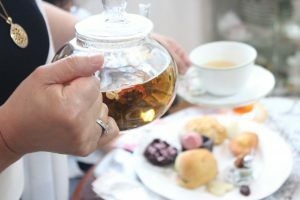 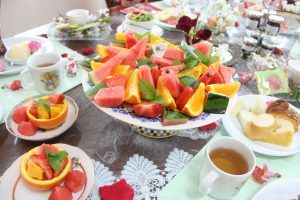 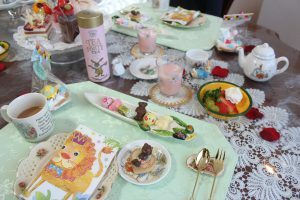 It was a wonderful Tea Party! 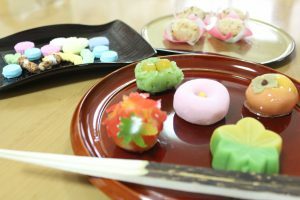 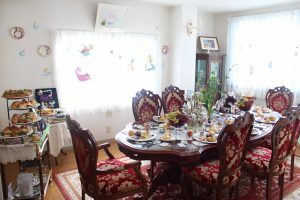 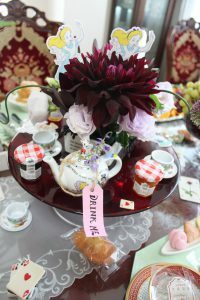 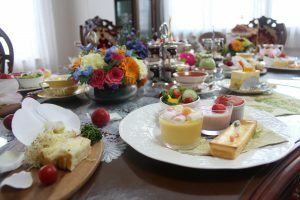 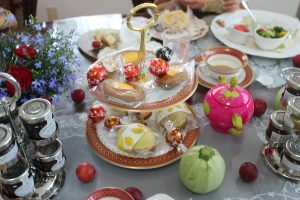 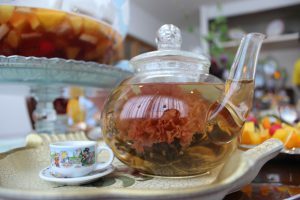 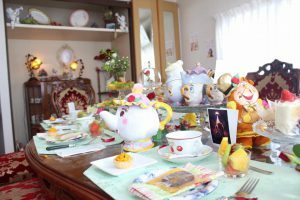 This time we had Autumn Tea Party. 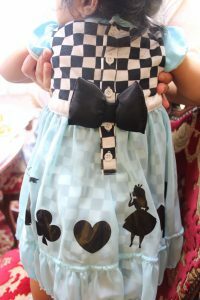 This month too the little princes and little princesses were dressed up. 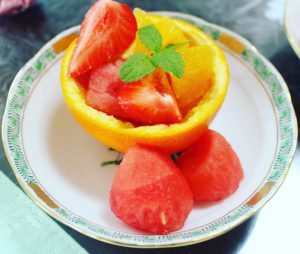 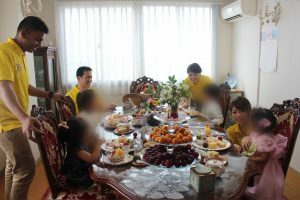 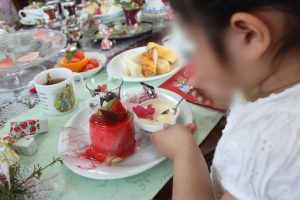 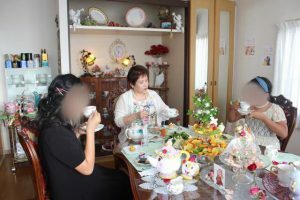 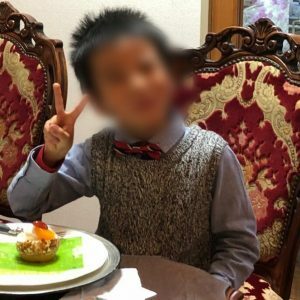 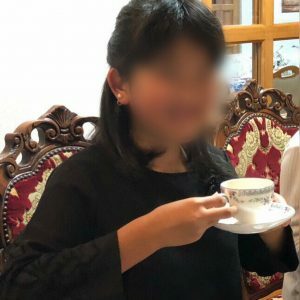 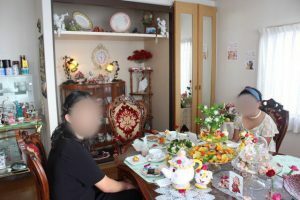 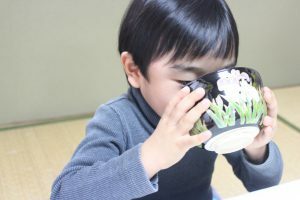 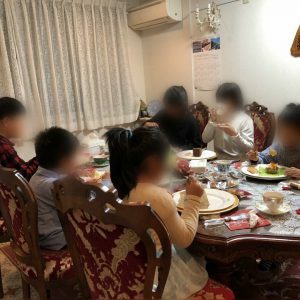 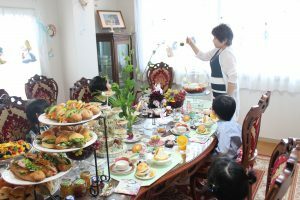 They enjoyed the orange flavored ice tea which was made of Ceylon tea and the mystic Chinese tea in which flower blooms, and learned manner in Alice in Wonderland settings. 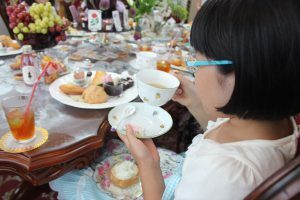 Elementary school students learning manners and etiquette using Alice in Wonderland Tea set at our tea party. 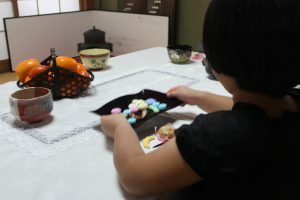 At Mustardseed International Preschool, we’re having a manner lesson every month. 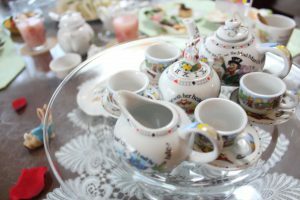 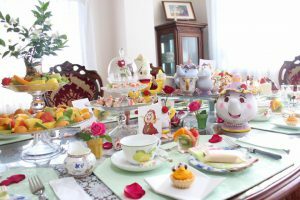 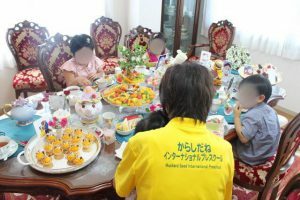 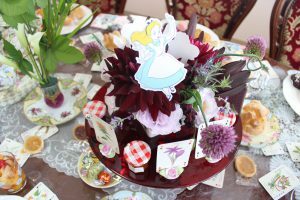 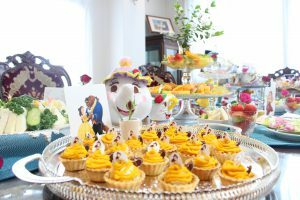 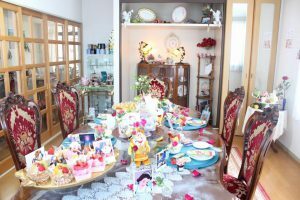 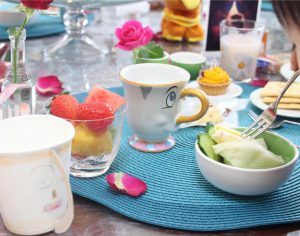 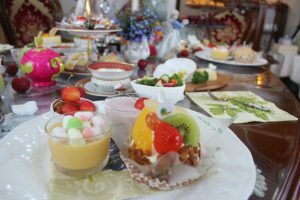 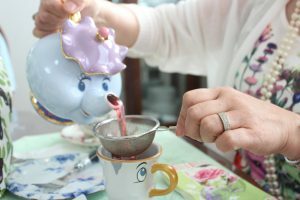 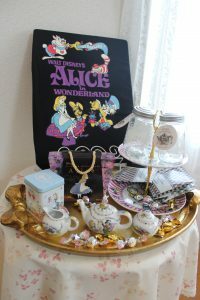 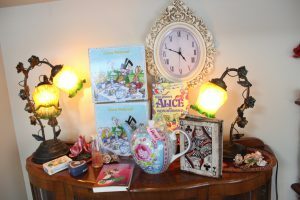 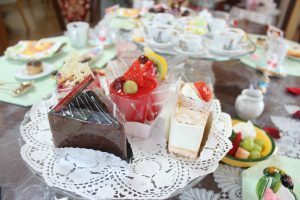 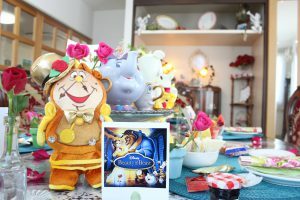 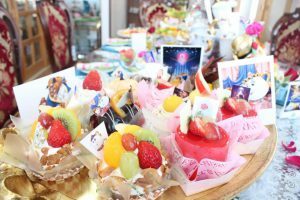 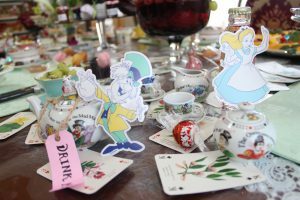 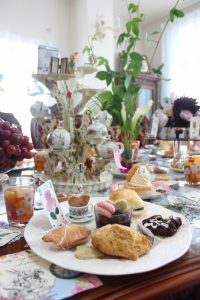 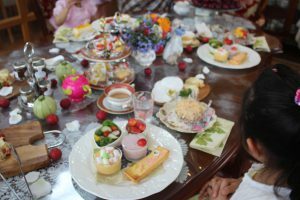 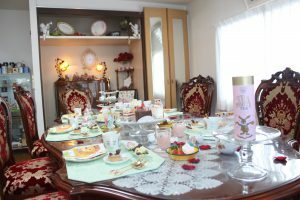 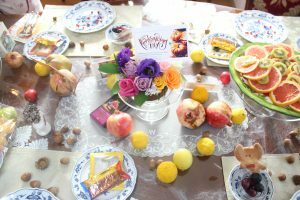 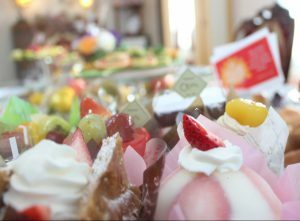 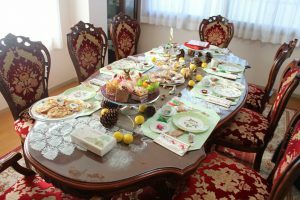 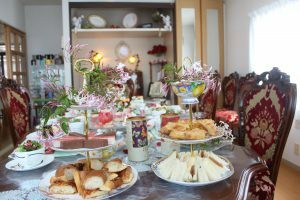 In June, we had Beauty and the Beast Tea Party! 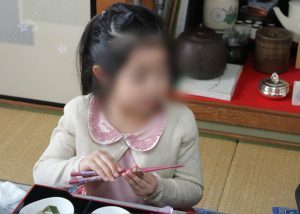 All our students enjoy learning manner along with English studies and music and art which nurture emotion for them to grow up as world class people. 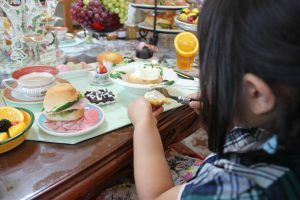 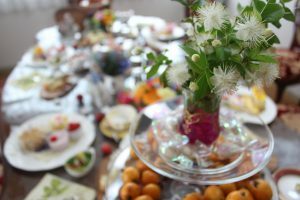 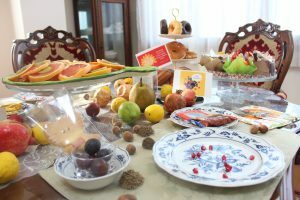 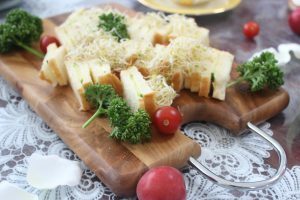 The students enjoyed the Beauty and the Beast spread on the table and tasted herb tea and English tea. 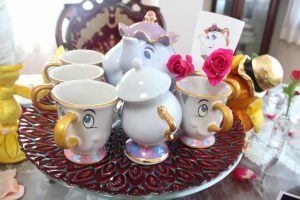 Elementary school students learning manners and etiquette using The Beauty and the Beast Tea set at our tea party. 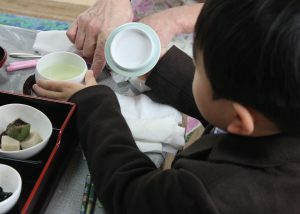 At Mustardseed International Preschool, we’re having a manner lesson every month. 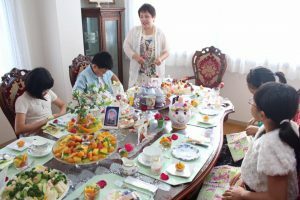 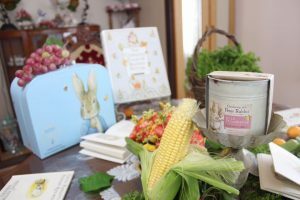 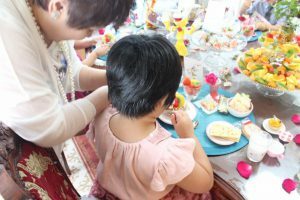 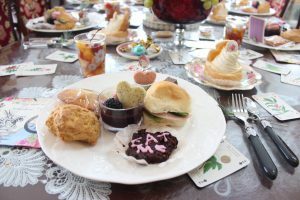 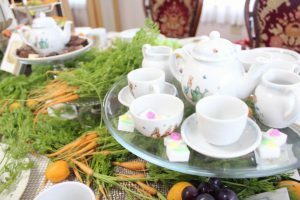 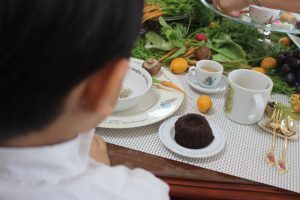 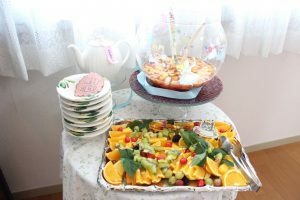 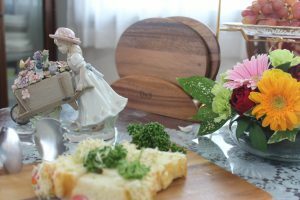 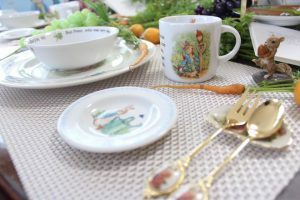 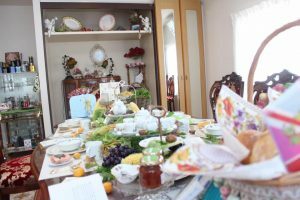 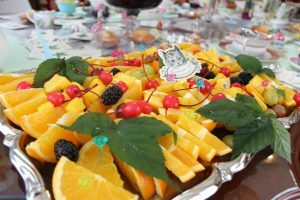 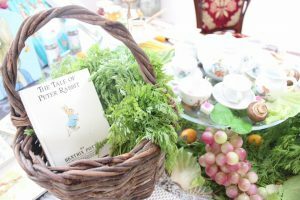 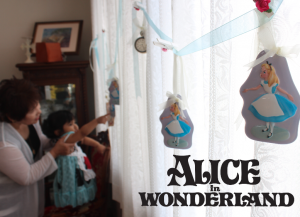 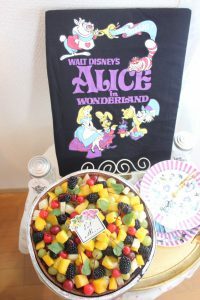 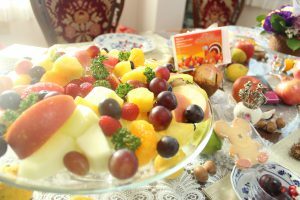 In May, we had Peter Rabbit’s Tea Party. 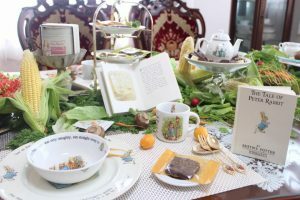 We enjoyed and learned manner along with English studies and music and art which nurture emotion for our students to grow up as a world class people. 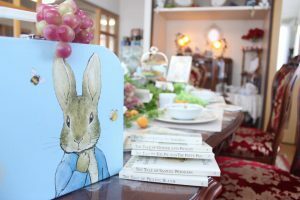 The students enjoyed the world of Peter Rabbit spread on the table and tasted chai.